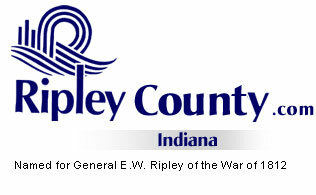 The Ripley County Council met on June 18th, 2007 at the Ripley County Annex in Versailles, Indiana. Donald Dunbar, Council President called the meeting to order promptly at 7:00PM with the pledge of allegiance to the flag. Council members Dephane Smith, David Simon, Edward Armbrecht, Juanita Kaiser and Don Dunbar were present for the council meeting. Mark Busching & Ben Peetz was not present. Council member Smith made a motion to approve the minutes from May 21st, 2007 Council meeting seconded by Council member Kaiser. Motion approved by those present/ Dephane Smith, David Simon, Edward Armbrecht, Juanita Kaiser and Don Dunbar. Council member Armbrecht made a motion to approve the additional appropriation of $20,000 from Fund# 295-11340-000-046/ Reassessment Fund (to be used for 2007 trending with appraisal research/ for three years) seconded by Council member Simon. Motion approved unanimously. Council member Smith made a motion to approve the additional appropriation of $13,058.26 from Fund#203-32580-000-003 Cumulative Bridge and the $11,505.24 from Fund#201-32510-000-033 Highway Fund (Receipted back into funds) seconded by Council member Kaiser. Motion approved unanimously. Council member Armbrecht made a motion to approve the additional appropriation of $22,941.25 from Fund#276-37550-000-276 Drug Free Fund Grant (Spring Roll) seconded by Council member Simon. Motion approved unanimously. Council member Smith made a motion to transfer $150,000 from Fund# 278-33345-000-278 Economic Development Projects to Fund# 278-32520-000-278 Bituminous seconded by Council member Kaiser. Motion approved unanimously. William Neal updated the council members on the Ripley County Park/Fairgrounds. Neal advised that the new ground that had been purchased and the park board would like to put a new road in, to take the traffic away from the play grounds for the protection of the children. Park Board will be putting in for additional appropriations of $10,000 from the park & recreation fund and Riverboat at the July meeting. Tom Grills, Ripley County Sheriff presented transfers of funds from the sheriff improvement funds. Council denied the transfers and was advised to do additional appropriations at the July meeting and file a claim with the Auditor. Judy Schebler, Ripley County 911 updated the council members on the 911 and ran some tapes showing the council members the importance of 911. Lynn Gaugh & Connie DeBurger presented the yearly request for funds in the amount of $5,000 for Family Connection for 2008. Tim Schwipps, Natural Resource and Jeff Meinders, Ripley County Soil & Water presented the 2007 Leveraging sheets as information for the council members and Meinders updated the council members on the 2008 budget that will be presented. Earline Copeland, Ripley County Treasurer updated the council members with information for the 2008 budgets. Mary Ann McCoy, Ripley County Auditor updated the council on the 2008 budget request. McCoy requested that her second deputy be raised to a first deputy position. Council member Armbrecht made a motion to sign a Resolution of the The County Council Ripley County, Indiana pertaining to the temporary loan of $400,000 (four hundred thousand dollars from the general fund to the Department of Child Services to be repaid by December 31, 2007) seconded by Council member Smith. Motion approved unanimously. Council member Smith made a motion to adjourn until the next meeting on Monday, July 16th, 2007 @ 7:00PM seconded by Council member Kaiser. Motion approved unanimously.